The generous donations given by our patrons go to a variety of studio needs. Our studio could not thrive and deliver the level of dance education we offer without the support of our annual patrons. Donations can be made to Mankato Ballet Company for specific reasons or general. For more information about becoming a patron please contact us at: info@mankatoballet.org or CLICK HERE. 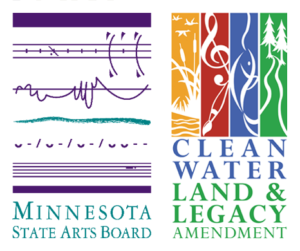 This activity is made possible by the voters of Minnesota through a Minnesota State Arts Board Community Arts Education Support grant, thanks to a legislative appropriation from the arts and cultural heritage fund.